The very first, most original semi-sweet, semi-sparkling wine is Stella Rosa Rosso of the Stella Rosa Wines brand under the San Antonio Winery. 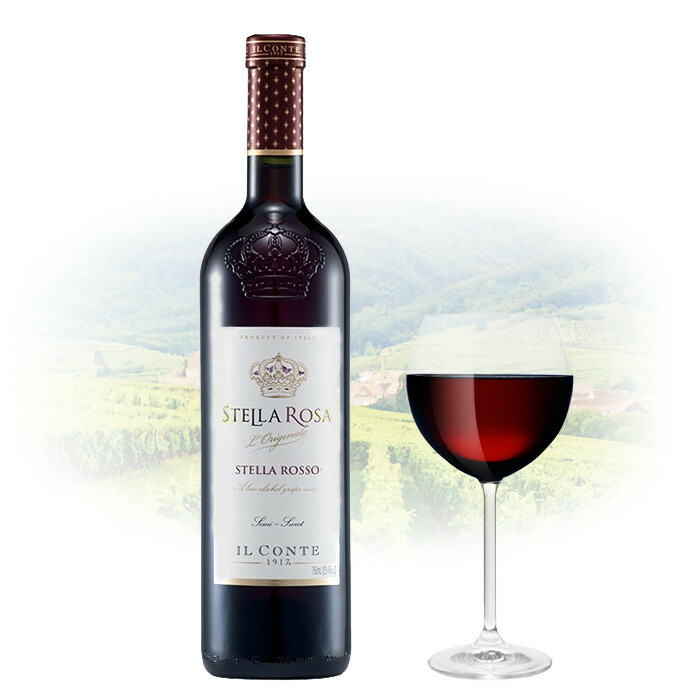 Stella Rosa Rosso is a red wine made from the Brachetto grape and various other varietals. With a 5.5% level of alcohol and 11.58% residual sugar, Stella Rosa Rosso has a perfect balance of sweetness and acidity, making it an easy-to-drink and easy-to-enjoy wine. Stella Rosa Rosso boasts fresh strawberry and red berry characteristics. This original Stella Rosa Rosso is best served when it has been chilled, and it goes well with fresh fruit, cheese, spicy cuisine, desserts, and chocolates.